UPDATE: The ESA, of which Nintendo is a member, still supports the controversial online anti-piracy bill. UPDATE: Although Nintendo's name no longer appears on the list of the bill's supporters, the Entertainment Software Association (ESA) is still listed. Nintendo, along with both Sony's game divisions and EA, is a member of the industry-wide lobbying group, and the ESA still appears to visibly support the SOPA legislation on behalf of its members. Mario Kart 7 leads the Japanese sales charts as the year winds down. Mario Kart 7 and Super Mario 3D Land have become major sellers as 2011 is coming to a close, the latest Japanese Media Create sales data confirms. From December 19 till December 25, Mario Kart 7 managed to sell 260,836 units for a total of 1,050,706 copies sold since its December 1 debut. Super Mario 3D Land came in third with its 174,566 copies for a total of 1,011,709 units sold. Disney may have accidentally confirmed the game's existence. Epic Mickey 2 may be in the works for release in 2012, a Disney newsletter may have accidentally revealed. December has been a great month for downloadable games. Today the Virtual Console sees the release of five new games spread across Nintendo's several downloadable game services...and no Virtual Console games for Wii. WiiWare was mysteriously absent from the game announcement. Sonic the Hedgehog 4 Episode 2 may skip WiiWare when it releases, the latest announcement possibly revealed. 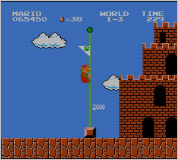 The original Super Mario Bros. will soon be available to the public in Japan. Super Mario Bros. will be available on the eShop for 500 yen starting January 5 in Japan. This marks the second Famicom title to come to the eShop for purchase with The Legend of Zelda appearing last week. There is currently no word as to when Super Mario Bros. or The Legend of Zelda will be available on the eShop outside of Japan. Get ready to watch lots of video while you celebrate the coming new year. 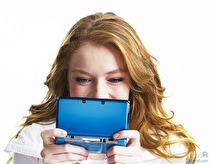 A Nintendo 3DS SpotPass notification has revealed that Nintendo will be holding a Nintendo Video New Year's Telethon. Beginning December 31 at 6:00 p.m. EST, Nintendo is hosting a Nintendo Video Telethon. Those that have missed out on some content, or wish to watch some videos again will all have that opportunity during the telethon. The program will be featuring classic videos from 2011 while also taking calls. Yet another Koei Tecmo/Nintendo collaboration was revealed. Dynasty Warriors VS will feature Nintendo-themed costumes, the recent Nintendo Direct event revealed. Atlus developed a non-RPG title for teenage girls. Today, at the second Nintendo Direct, pre-recorded in December 19, President Iwata announced Tobidasu Puricula Kiradeco Revolution (Pop-up Print Club Twinkle Deco Revolution), developed by Atlus and published by Nintendo. The 3D horror game is coming very soon in Japan. Ghost Camera's release date was revealed during the Nintendo Direct event. The horror game will be landing in the hands of Japanese gamers on January 12. The game makes use of an external book as well as the 3DS's augmented reality features. There is no word on whether Ghost Camera is currently coming to North America or Europe. 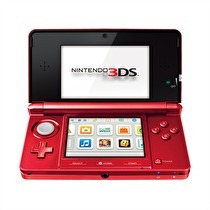 Japanese 3DS owners will go to the Olympics next year. 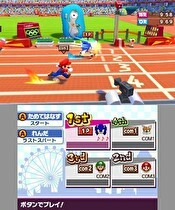 Mario & Sonic at the London 2012 Olympic Games received a Japanese release date during the Nintendo Direct event. Japanese gamers will join Mario and Sonic on March 14. The duo will head to the Olympics with many other characters from their respective worlds to compete in many different events. These are the games third party developers have for the first half of 2012. 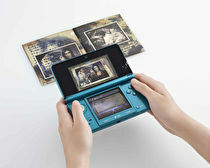 Nintendo Direct showcased some of the third party efforts Japanese 3DS fans can expect for the first half of 2012. Many of these games had new trailers revealed, while most of them just had a release date confirmed. Theatrhythm Final Fantasy, Metal Gear Solid 3D, Rhythm Thief and Resident Evil will be available for a test run on the 3DS. New 3DS demos will be added to the eShop later today in Japan, the Nintendo Direct event confirmed today. The best photos will receive special prizes. Starting next month, Nintendo will be holding monthly 3D photo contests, Satoru Iwata recently confirmed via the Nintendo Direct event. Players will submit the best 3D photos they can take, where they will be judged by celebrities. 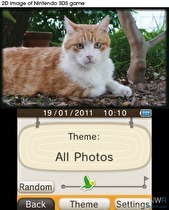 The players that submit the best photo for the month will receive special prizes. The quirky sound based mini-game is highlighted on Nintendo Direct. Yoshio Sakamoto, creator of Metroid and WarioWare, demoed the latest build of Kiki Trick alongside Satoru Iwata on Nintendo Direct. Kiki Trick is a mini-game based collection with a focus on listening to sounds. The first game using this concept had players listening to a garbled phrase and choosing the correct text based on what they understood. Players won't have to wait long for the latest Fire Emblem epic. Fire Emblem 3DS has been given a final name along with a Japanese release date. The game was first revealed at the Nintendo 3DS Conference held a few months ago. It is now known as Fire Emblem: Kakuse. Iwata declared it to be an original entry in the series while it retains elements from previous games. The game will also include online play. Kird Icarus: Uprising has been given a March 22, 2012 release date for Japan, Satoru Iwata announced on Nintendo Direct. Originally, the game had an early 2012 release date. This confirms when Japanese players can expect the game. Iwata explained that the game is currently in the fine tuning stages. Enjoy the holidays with a broadcast directly from Nintendo. The next Nintendo Direct broadcast is arriving in just a few short days. The event will take place in Japan on December 27 at noon. For Americans, this translates to December 26 at 10:00pm EST. 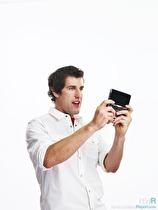 The broadcast will deliver information regarding the Wii and 3DS. If you loved the game's music, you can download the soundtrack at your price. 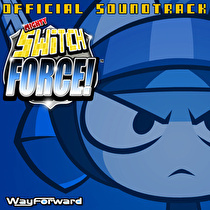 The soundtrack to WayForward's Mighty Switch Force is available for purchase now through Jake Kaufman's Bandcamp page. Like their previous soundtracks, players can name their price on it, meaning that they can pay as much or little as they want or can afford. All funds go toward improving WayForward's recording studio. Even more games are set to debut on the eShop very soon. UFO Interactive Games's Samurai Sword Destiny has been given a January 5, 2012 release date. The title is a sprite-based on-rails hack-and-slash in which players deal away with many foes in a feudal Japan setting. The characters can set up combo attacks, equip several weapons and level them up so they can unleash stronger attacks.